As the MOON orbits the earth, the path it traces wobbles as much as 3°. When the moon passes closest to the earth, this is known as the MOON's "perigee." What is super interesting is that the MOON's perigee this year is occurring exactly on the May Full MOON. Our May Full MOON is considered a Supermoon, because in ancient times it would represent one of the most sacred times for initiation, when the Lunar energies were the strongest of the year. On Saturday May 5, 2012, we have what the ancients called a special "Lunar Eclipse precession of Initiation" because the perigee is also occurring on the Full MOON, directly preceding next month's Full MOON Lunar Eclipse. This year's May Full MOON is definitely a special Supermoon! Why is the Supermoon Associated with Initiation? During our last New MOON we experienced a unique gift of planetary Cosmic Light. This coming Full MOON brings to our awareness the possibility for a new level of experience in connecting with this Cosmic Light. In the past, this deeper level of experience could only be known through something referred to by the ancient teachers as "Initiation." It was called initiation because it would introduce to the individual a new level of consciousness. In order for the student to be ready for an initiation, the student had to prepare in special ways to be receptive to the new perceptions that would follow. The ancient teachers realized that the timing of initiation was extremely important. Certain astrological alignments would help to naturally increase a student's energetic receptiveness to the new level of consciousness or awareness that was to be introduced. Time was also needed to allow the awareness to grow and mature within the student's consciousness. Special Lunar alignments were found to decrease the psychic gestation period needed for conscious awareness to grow and expand. Our experience of this Full MOON will introduce an extremely unique expansion of consciousness. Each month the Full MOON brings a new awareness or realization, as the seed of new possibilities begins to mature in our awareness. The visitation of Cosmic Light (New MOON article here) represented by our last New MOON was the seed for a new potential which was given to each of us. What is growing in our awareness is the possibility for a huge expansion in the way we interact with others, how we relate to our past, how we are able to manifest what we need in life, and how to expand our access to planetary power. As the MOON circles the Earth, it stirs the energies which operate in and around us. This stirring is not only a stirring of organic energies, as seen in gravitational influences of tides and animal mating cycles, but also has a powerful effect on the consciousness of individuals and in psychic phenomena in general. The effects of this Lunar stirring are not only powerful, but highly organized in that they create a complex grid or matrix of energy that encompasses our planet. This "Lunar Matrix" is real. It is powered by the Sun, and distributed by the MOON. During this current Full MOON the entire planet will experience a powerful activation of the Lunar Matrix. Through this activation, we humans will experience our own initiation, expanding our ability to consciously participate in this energy grid of support. This May 2012 Full MOON is a planetary initiation into the ability to consciously interact with the Lunar Matrix. The Lunar Matrix is a planetary web of energies to which each person on the planet has free access. The Supermoon represents the potential to tap into this energy "Grid of Light" and to access new levels of Power, Connection, and Creativity. As members of the human family, we have witnessed an extraordinary acceleration in consciousness since the Winter Solstice of 2009. Because of this acceleration, it is no longer necessary for the process of initiation to be a closely guarded and well-kept secret. In the past, initiation was kept secret for the purpose of preparing an initiate to be receptive and open. It was also necessary to provide resources to support the new awareness to which the student was being introduced. As consciousness evolves and is accelerated, there is also a corresponding increase in the planetary resources available for supporting us at new levels of awareness. Not only are there resources available, but this same acceleration has allowed for a new personal level of receptivity to Light, the most subtle of cosmic energies. This planetary Grid of Light has always existed, but up until now, humanity as a whole has not been able to consciously tap into this matrix for personal support. Not only is the Lunar Matrix now active, but the cosmic gift of Light introduced at the last New MOON is preparing our receptivity to consciously experience our connection to the Grid. No longer is initiation only for the mystic elite. Every person on the planet now has the opportunity to experience this natural, but extraordinary phenomenon. The more individuals who tap into the Matrix the more conscious this grid itself becomes. As the Lunar Matrix becomes more conscious, the level of personal support for each participant exponentially increases. This matrix is a new way for us to connect to the planet and to connect to everyone who is tapped in to this Grid of Light. This Grid holds energy as a new form of planetary alchemy. Through our participation, Earth consciousness, operating organically through each one of us, rises to connect to this incredible web of conscious Light. When our conscious connection combines with the ascending Earth and descending Cosmic energies (stirred and energized by the SUN MOON relationship), something very unique and special occurs. We are seeing planetary alchemy at work. Alchemy is the meeting and blending of humanity with sky and earth. The Lunar Matrix is a new form of planetary alchemy, available to each of us. The first level of integration of the Supermoon initiation will continue for the next two weeks, up until the New MOON occurring on May 20, 2012. An important aspect of this Supermoon lies in your ability to integrate three key areas of expansion which will support the three key areas of the Lunar Matrix. 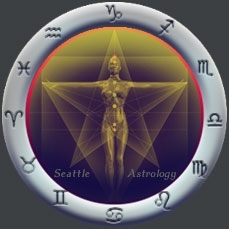 The energetic web of energies we are calling the Lunar Matrix consists of three aspects: Connection, Creativity, and Power. During the Full MOON Supermoon the entire planet will have the awareness of these three aspects being activated. For many this will be an unconscious knowing, and for others, it will represent a shift in conscious awareness. What is important is how you decide to anchor this awareness. Moving forward, each Full Moon from now into the future will hold the hidden potential of activating the Lunar Matrix for your personal support and planetary healing. The following three processes symbolize the energies which will directly support your conscious integration of what is awakening on our beloved planet Earth. Place your attention on whatever personally inspires you. Your frequency of inspiration will lead you to a grounding faith that you are moving in the right direction, even when you can't fully feel or see what is being manifested. Generate personal power by incorporating flexibility. This process will support the release of ancestral patterns. To release old patterns, open yourself to spontaneity. During the next two weeks, challenge old ways of being by freeing your mental habits. Feel the creativity of the moment by engaging in a new level of spontaneity. Expand all your relationships by holding an open heart where you honor the balance of giving and receiving. Through the conscious use of fairness, cooperation, and authentic emotions, you will experience Love and Light moving upward and your connection with the larger grid of Light and support will deepen. The May Supermoon is the closest Full MOON of the year and also precedes next month's Lunar eclipse. It's extremely powerful, and represents an important planetary initiation into a larger grid of energy. This web of Light, energy, and support is potentially available for all of us to consciously experience and participate in. The Lunar Matrix is meant to be tapped into for personal and planetary use. The more people who consciously tap into the Matrix, the more powerful and available the Matrix becomes for everyone. During the next two weeks you have the special opportunity to start anchoring your awareness of the Lunar Matrix through the integration of your Connection, Creativity, and Power. Please share your experiences of the Lunar Matrix with all who would benefit.